Poor Jan struggled off the bus from Calcot with her (very tired) shopping trolley. It was very cheap and has lasted well considering the weight it has carried back to Waiouru. However the axle holes in the plastic wheels are not oval rather than round which has resulted it the trolley being rather wobbly! Jan was rather terrified one of the wheels would collapse as she dragged it back down the towpath. Meanwhile I was heading in the opposite direction to Newbury and Maplin. 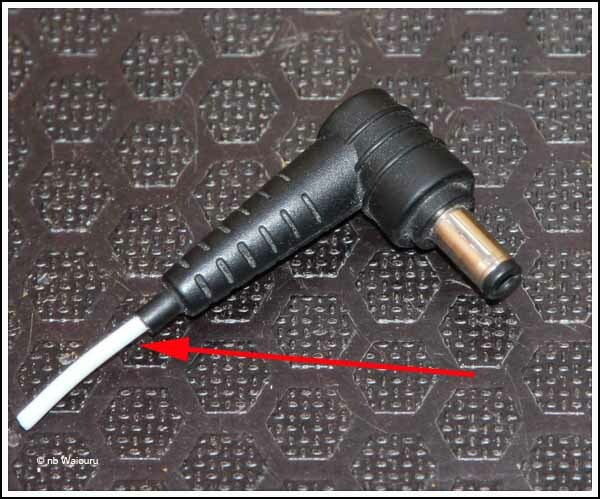 The helpful sales assistant found me a plug that appeared to be an approximate match to the one on the DC end of the laptop power supply. A trip into the 99p shop was frequently worthwhile and today it resulted in five useful purchases. 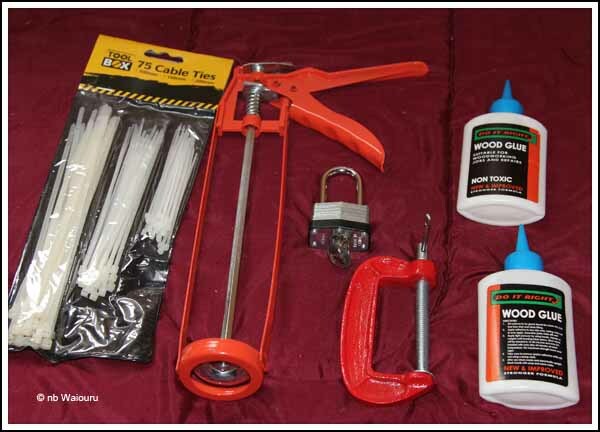 Cable ties, caulking gun, padlock, G clamp and PVA glue all for less than £5. 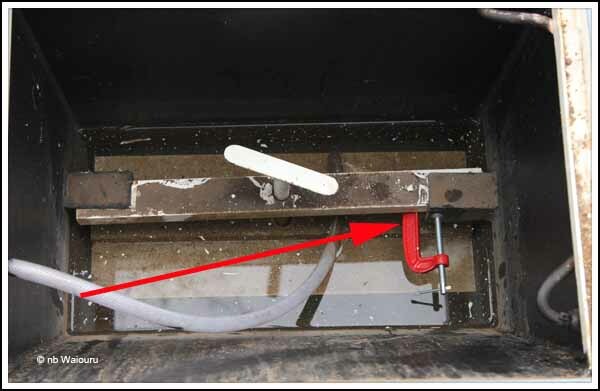 The G clamp has already been put to use in the weed hatch. Hopefully it will prevent the retaining bar from vibrating out from underneath the angle iron. 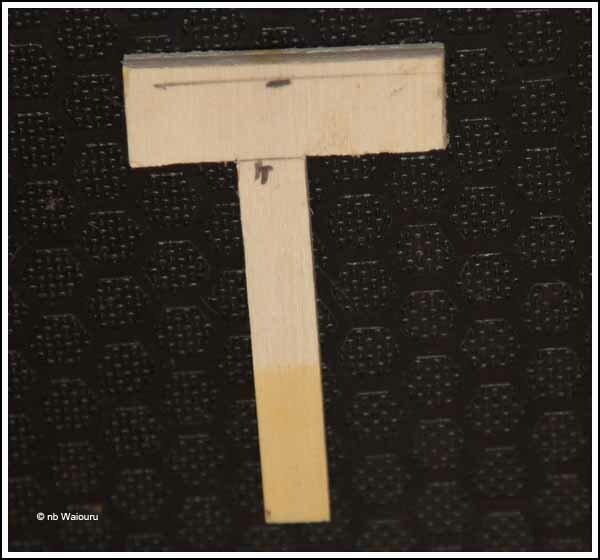 A small timber packer has been placed on the concealed face of the clamp to give it something to “bite” onto. Heart in mouth the moulded DC plug on the end of the laptop power supply was cut off where I had assessed the broken wire was located. I was right! The negative copper screen strands had all fractured leaving only the positive strands inside the white insulation. The plug from Maplin was then soldered onto the cable and the laptop is back on charge. So the power supply has been fixed for £1.89. I love it when a plan comes together, and at such little cost. (Written using my smart TV Android dongle)! I'm thinking of buying Jan a rucksack.... It might slow her down!